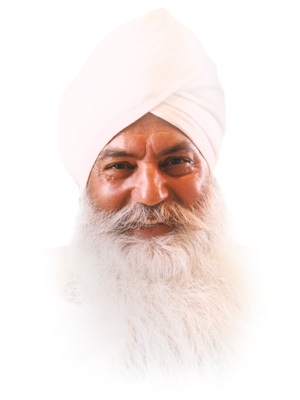 Yogi Bhajan became Master of Kundalini Yoga® at the age of 16 in his native India. He came to the West in 1968. The authority to be the Mahan Tantric, Master of White Tantric Yoga®, was bestowed on him in 1970. The practice of White Tantric Yoga®, as with most sacred Eastern wisdom, had previously been a tradition passed on from teacher to student in a mystical and selective way. As a pioneer of this age, Yogi Bhajan decided to open the experience of White Tantric Yoga® to anyone who wanted to commit to the discipline. In 1970 in Los Angeles, for the first time in history, White Tantric Yoga® was taught publicly. Until 1986, Yogi Bhajan traveled throughout the world presenting as many as thirty workshops each year to thousands of students. In 1987, using his unique abilities as Master, together with modern technology, he began to present White Tantric Yoga® as a video-taped series. He said the tapes would continue to have the same effect when he was no longer in his physical body. This has proved true, and in fact since his passing from his physical body in October, 2004, thousands of students have confirmed that their Tantric experience is one of being in his presence. Sign up below to join our White Tantric Yoga LA newsletter and be the first to know about upcoming events.